The British Airways (BA) network infrastructure is being simulated at its new testing centre using an emulation appliance from iTrinegy. BA's Skylab testing facility based in Waterside is using iTrinegy, to test the readiness of its application before they are used in production. 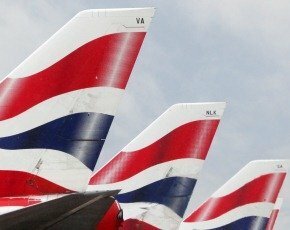 BA is using iTrinegy to replicate the network to test whether applications can run in the airline’s standard network environment. The network emulation tool is being used to test applications that support key business processes including aircraft readiness, flight load control and baggage protection. It will also be used to test a new BA application called "Fly" that replaces green screen terminal applications. Fly provides a modern user interface for the company's check-in application, but it uses greater bandwidth than the legacy terminal-based check-in system. With a richer client application and poor links to some airports such as Nairobi, BA is concerned the application may experience poor performance due to the much higher bandwidth requirements. Some of the locations rely on satellite links, where high latencies needs to be taken into account. Ian Matthars, senior network infrastructure engineer at BA said: "Before an application can go live, we thoroughly test for all the variables experienced in 'real-world' live networks, including conditions such as latency, loss, delay and jitter. "These conditions can affect any application and with our new front-end check-in/seating system for agents and customers, it is essential that we guarantee a good experience for all." The tool enables the user to see how an application or device will work by simulating a company’s network environment, which may include infrastructure running over different physical infrastructure such a wide area network (WAN), the cloud and wireless and satellite communications. By mimicking characteristics such restricted bandwidth, link speed, latencies, jitter and packet loss allows network engineers to identify potential network-related application behavioural issues. Matthars said: "Network emulators allow us to create the worst kind of networks. Seeing how our applications behave allows us to make sure our systems work no matter where in the world our networks, staff and customers are located and Itheon Network Emulator (INE) LCD continues to be an important part of our network testing within our Skylab."